Celebrate the 25th Anniversary of Magic: the Gathering with a journey through the history of the world’s first trading card game. 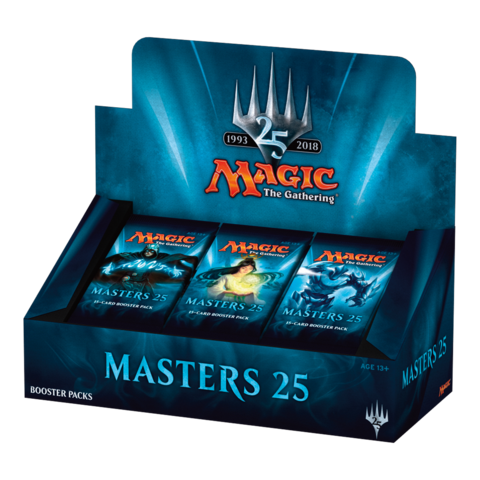 In Masters 25, you’ll find lands or spells from every Vintage-legal Magic set that introduced original cards. Whether you’ve been casting Lightning Bolts since Alpha or just started playing with Rivals of Ixalan, this set has something exciting to rediscover during your next draft night.